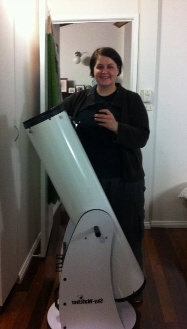 Star Gayzers is an amateur astronomy club specifically for the LGBTIQ community. It is designed to be a place where you can be among like minded people and delight in the night sky in a social, relaxed and safe atmosphere. To be part of Star Gayzers all you need is a desire to make friends with new people in a setting outside of the regular club, pub and party scene, while enjoying the delights of the heavens. We have 3 types of get-togethers. Firstly and most regularly are our monthly meetings. At these meetings we take the opportunity to catch up with other members of the group, discuss matters of astronomical interest and learn some of the theory needed to aide our sky watching. We also have regular dark sky field trips. This is where we take our telescopes, binoculars or just a blanket and get away from the lights of Brisbane for the evening. This is a great chance to see the sky the way it is meant to be viewed. You may like to bring a friend and spend the evening on your blanket under the heavens. Finally Star Gayzers also puts on bigger events. This is an opportunity for us to open our ranks to the broader LGBTI community and raise our profile. So far we have had a number of very successful events, such as our Mount Coot-tha planetarium and observation night for the 2011 pride festival and our Star Gayzers Race to the Moon Car Rally and BBQ. We try to ensure that each of our activities are fun, friendly and easy enough for beginners to understand. 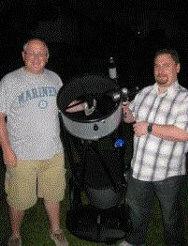 We have members from broad experiences and backgrounds, many of whom knew nothing about astronomy before they joined our group. The group is open to anyone who identifies as LGBTIQ or is sympathetic and understanding of LGBTIQ issues. Copyright Star Gayzers Inc. © 2013 - 2018. All Rights Reserved.